On your first visit, one of our friendly team will have a quick consultation with you to recommend the correct number of tanning minutes for your skin type and how many sessions you’ll need to build your desired tan. They will also recommend the best tanning lotion for you to use while you’re on the sun bed to accelerate your tan. You’ll then be shown how to safely use the sun bed and how to use your complimentary eye protection. All rooms are fully air conditioned for your comfort. You can even plug your phone into our sun beds so you can relax and listen to your own music while you tan! 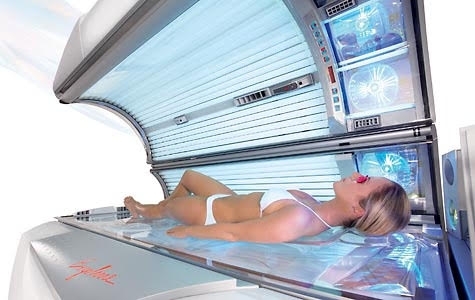 Each sun bed also has adjustable fans inside to keep you cool and fresh whilst tanning. We pride ourselves on our cleanliness and quality here at Shwe Tan. Every sun bed is sanitised after it's been used so they are always clean and fresh for you. We guarantee you'll get the best possible tanning experience as we regularly change our lamps, so every sun bed gives the best performance. The Sun Angel gives you a deeper, darker longer lasting tan than ordinary sun beds. It's a safe way to tan, so you can tan with confidence at Shwe Tan. On your first visit we'll show you how to use all of the controls on the Sun Angel and we'll take a reading of your skin with the Sun Angel skin sensor. This will calculate how much UV your skin can safely take during your 20 minute tanning session. The Sun Angel has high pressure shoulder tanners and ultra performance facial tanners to give you the best possible tan - we'll show you how to turn these up and down to your desired level. You can adjust the temperature on the Sun Angel; you can have it up to 30degrees for those chilly days or a nice and cool 17 degrees. Plus there is a refreshing spray that you can turn on to keep you cool. We'll show you how to use the 3D sound system - so you can listen to the music which plays through the Sun Angel or plug in your Phone or MP3 player so you can relax and listen to your own music while you tan! Looking for 20 minutes of relaxation? We'll show you how to turn the music off so you can have 20 minutes tanning and forty winks! 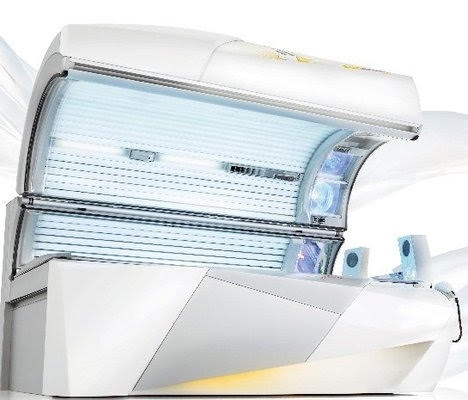 Our Lay Down Sun Bed has 3 Facial tanners, and you can choose to turn these up and down as desired. If you're not one for confined spaces, there’s lots of room for you to move about inside our Stand Up Sun Bed. It’s also great for getting those white bits underneath your arms, as you can hold onto the bars inside while you tan! 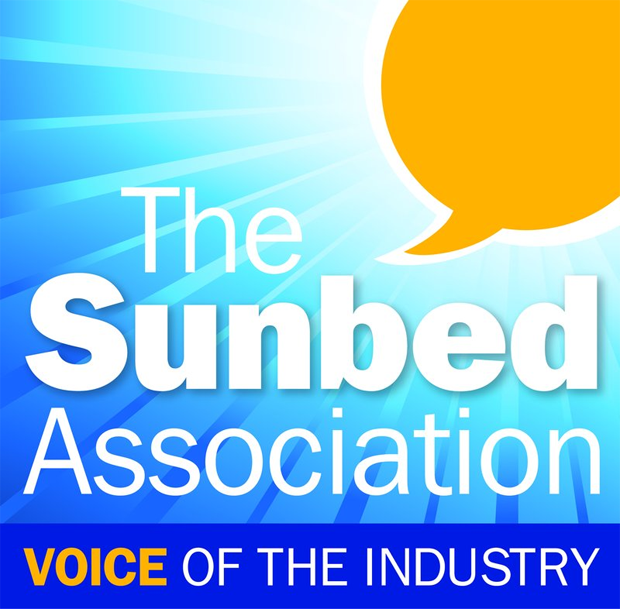 What is the difference between the Sun Angel and the normal Sun Beds? Well... 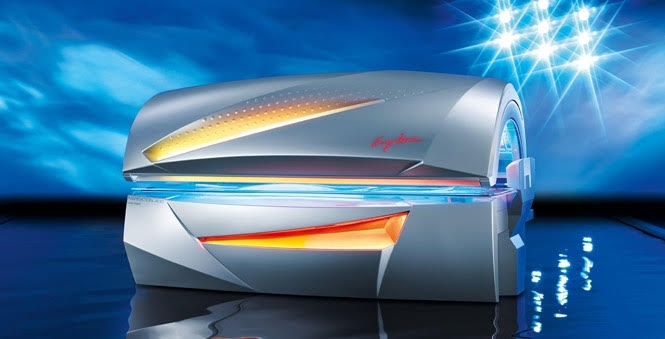 The Sun Angel is a 20 minute sun bed. You scan your skin before you go on, so you get just the right amount of UV for your skin - this is why you can have 20 minutes. 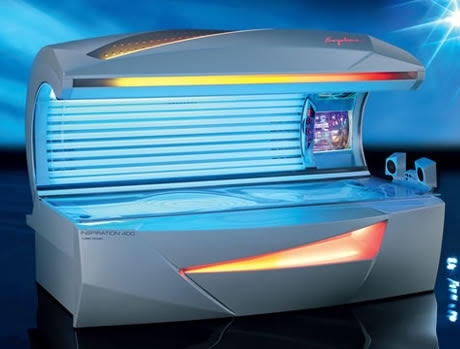 The Sun Angel is a safer bed to use and gives you a more natural tan, whereas, the other beds have stronger tubes - so we advise how many minutes you should have and you gradually build them up. How many minutes should I have on the Sun Beds? Well, we recommend how many minutes you should have, depending on your skin type. We like to ask as many questions as possible to really understand how your skin is against the suns UV rays. Skin colour / Eye colour / How easy you tan / Burn. All of this information really helps us determine how many minutes you should have. It’s better to start off with lower minutes to see how the UV is against your skin. Skin type 1: 2 – 3 minutes. Skin type 2: 4 – 5/6 minutes. Skin type 3: 6 – 8 minutes. Skin type 4: 8 – 10 minutes. We suggest that you never jump up by 2 minutes because even 1 minute can make a big difference! Building up your minutes gradually is the best and safest way to tan. Why do I need to use a lotion on the Sun Beds? Well.. Lotions keep your skin hydrated, this is really important when using sun beds as it prevents your skin from drying and going ‘wrinkly’. Lotions absorb UV into your skin instead of your skin reflecting it away. You tan 60% better with a lotion than without. You can also use them outside (take on holiday with you). But you would need to apply your SPF on top. They smell and feel incredible - they are so nourishing! What should I do if I am burnt? We always do our best to help give you the correct advice to ensure you don’t burn on our sun beds. However, if you use our sun beds with an oil-based moisturiser, you are likely to burn which is why we recommend to not wear any moisturiser on the day of your visit. Whether you have burnt on a Sun Bed or out in the sun. We highly recommend you avoid going on Sun Beds / sun bathing outside until the pink/redness has completely gone. If you are uncomfortable, we recommend placing a wet towel/flannel onto the burnt area – this absorbs all the heat out of the burn. We also recommend keeping the area really hydrated, our hempz moisturisers are perfect and very soothing! A thin layer of sudocrem also helps! Do you have any lotions for Sensitive Skin? We do! Our Hempz Hypoallergenic range is especially for our clients that have sensitive skin. They are enriched with Natural Calming Extracts and 100% Pure Natural Hempz Seed Oil. We also have a hempz hypoallergenic bronzing lotion too, for that extra boost. They are both Gluten & Nut Free. Hempz Hypoallergenic sachet costs £3.99 and our Hempz Hypoallergenic Bronzer sachet costs £4.50. We do both lotions in bottles – which work out a lot cheaper in the long run. What products do you recommend to get the best tan? Well, we have so many amazing products, but if we were to choose a selection for you to get the best tan it would be... Our Shwe Lemon Body Scrub, this is a really good exfoliator (really gritty) to get rid of any dead skin and give you a nice fresh layer to tan on. One of our Hempz moisturisers (the Sweet Pineapple & Honey Melon one smells incredible), are great to use after you exfoliate and also after using a Sun Bed. Lastly, our Go to Black sun bed lotions are the best! They are our fastest and darkest lotions, we have 3 with bronzers and 1 without. If you use all these products, regularly moisturise and exfoliate – you will really see the difference in your tan. I’m going on holiday this year – when do I need to start tanning? If you are going on Holiday this year, don’t leave getting a ‘base tan’ until the last minute! Coming in the day before your holiday for 10 minutes is NOT going to give you a base tan. It takes on average 120 minutes to get your base tan – which is the equivalent to 6 Sun Angels. Make sure you are coming in at least 2/3 times a week if you are using the Sun Angel. This really starts to develop your tan and gives it a nice boost coming in that third day. If you are going to use the Stand Up / Lay Down, you would need to come in more often and have less minutes to build up your tan. Having a high number of minutes once a week is not going to give you a base tan or keep you topped up and you are likely to burn. Make sure you are using the right sun bed lotions when on the sun beds. We have a great selection here at Shwe and we are here to help choose the right one for you! We never recommend going on a bed without one, as lotions help absorb UV into the skin, whereas without one – your skin reflects it away. You are 60% more likely to get a tan with one than without, therefore if you are going on a sunbed for 10 minutes, you are really only getting the benefit of about 4 minutes. Don’t waste your precious sun bed time! Hydrated skin is happy skin! Hydrated skin tans quicker than dry skin – so make sure you are moisturising at home! Remember to moisturise on the days between your sun beds… However, on Tanning day please do not come in with any moisturiser on. (as the majority of moisturisers have oils in, which will cause you to burn). If you follow all these steps, regularly exfoliate and moisturise, you’ll have the best base tan and be ready for your holiday. Or if like last year, we have another heat wave, you’ll be ready for the summer months! I've just had a tattoo - can I have a sun bed? If you have had a tattoo recently, we recommend you stay away from sun beds for the first 6 weeks! Your skin is open – we wouldn’t want any UV getting into your skin or for it to fade. Luckily, when you are back – we have a tattoo stick that is SPF 50 and highly recommend you use. Who can't use a Sun Bed? · Certain medications that cause Photo-sensitivity-. 20 minutes of peace and relaxation. "Great friendly service. Loved my 20 minutes of peace and relaxation on the Sun Angel. My first time and have a base colour already." I had my first spray done today with Lindsay. I was made very welcome and and would highly recommend and will be going back again.